Everyone realizes that our country spends quite a bit of money on welfare programs. Just how much money and how many programs exist? Late last year, Jeff Sessions, a ranking member of the US Senate Budget Committee, requested that the Congressional Research Service (CRS) provide just that information to his committee. The most recent year that the data was compiled was 2011. What did they find? The CRS identified 83 overlapping federal welfare programs that together represented the single largest budget item in 2011. These expenditures exceeded what our government spent on Social Security, Medicare, or national defense. The total amount spent by the federal and state governments exceeded $1.03 trillion, with the federal government providing $746 billion of that cost. As a comparison, in 2011 the annual budget expenditure for Social Security was $725 billion, Medicare was $480 billion, and defense was $540 billion. The exclusively federal share of spending on these federal programs is up 32 percent since 2008 and now comprises 21 percent of our federal outlays. As a historical comparison, spending on the ten largest of the 83 programs (which account for the bulk of federal welfare spending) has doubled as a share of the federal budget over just the last 30 years. In inflation-adjusted dollars, the amount expended on these 10 programs has increased by 378 percent over that time. So how did our country get itself into this situation? Welfare in the US actually began with the New Deal in the 1930s . But that form of welfare was much different than today. The government went above and beyond by creating agencies that created jobs for unemployed workers. Read the previous post, “Working at Reducing Unemployment” for more specific information on these programs. In 1940, the Aid to Families with Dependent Children (AFDC) was established. FDR wanted this legislation to assist poverty-stricken families in which the woman was the head of the household. The principle intent was because these women were widows. The year 1964 will be remembered for Lyndon Johnson’s War on Poverty and for the Economic Opportunity Act that passed and was commonly known as the “Great Society.” For the first time a person who was not elderly or disabled could receive need-based aid from the federal government. This aid could include general welfare payments, health care through Medicaid, food stamps, special payments for pregnant women and young mothers, and federal and state housing benefits. In 1968, 4.1% of families were headed by a woman receiving welfare assistance. By 1980, the percentage increased to 10%. In 2008, 28.7 percent of households headed by single women were considered poor. The societal impact of this legislation proved to be devastating. The family unit, as we knew it, was blown apart. Divorce rates increased dramatically. Today’s rate is approximately 50%. The divorce rate before this legislation was less than 22%, but divorce rates are misleading. You can only get divorced, if you were married first. And that is where the rub becomes apparent. Women began having children without ever having a husband for support. And that is exactly where this legislation led the country. In their infinite wisdom, our legislators sanctioned illegitimate births. With more births, families received more welfare. Bill Clinton attempted to revise the system with the passage of the “Personal Responsibility and Work Opportunity Reconciliation Act of 1996”. This is the latest welfare reform legislation. Before this act, welfare assistance was “once considered an open-ended right,” but welfare reform converted it into “a finite program built to provide short-term cash assistance and steer people quickly into jobs.” Prior to this reform, states were given “limitless” money by the federal government, with funds increasing per family on welfare, under the 60-year-old AFDC program. This gave states no incentive to direct welfare funds to the neediest recipients or to encourage individuals to go off welfare benefits, as the states lost federal money when someone left the system. Talk about counterproductive! Nationwide, one child in seven received AFDC funds, which mostly went to single mothers. After these reforms, which Clinton said would “end welfare as we know it,” amounts from the federal government were now given out in a flat rate per state based on population. Each state must meet certain criteria to ensure recipients are being encouraged to work themselves out of welfare. The new program is called Temporary Assistance for Needy Families (TANF). It encourages states to require some sort of employment search in exchange for providing funds to individuals, and it imposes a five-year lifetime limit on cash assistance. The bill restricts welfare from most legal immigrants and increased financial assistance for child care. Following these changes, millions of people left the welfare rolls, employment rose, and the child poverty rate was reduced. A 2007 Congressional Budget Office study found that incomes in affected families rose by 35%. So what happened? Why are we facing the fiscal problems today when what appeared to be sensible welfare reform was instituted in 1996? I am becoming confused. Aren’t food stamps a form of welfare? Assuming a US population of 330 million, my trusty slide rule tells me that is 14.1% of the entire US population! What about the 5 year limit for welfare recipients? Almost 20 % of all people receiving benefits have exceeded the intended 5 year limit established with the 1996 welfare reform legislation. Why isn’t that 20% number reduced to 0% after 5 years? There are a number of reasons why the system is not working properly. Do you remember who is administering the welfare programs? The individual states manage their respective welfare programs with billions of dollars infused by the 83 federal programs. A person on welfare today can make up to $1000 per month without loss of benefits. Everyone would agree that a family would be hard pressed to survive on that amount of income. In addition, each state establishes the amount of welfare received. Now here are some further interesting and disturbing statistics. As of today, the minimum wage established by the federal government is $7.25 per hour. Did you know that 40 of the states pay welfare equivalent to an $8.00 per hour job? Did you know that seven of the states pay welfare that is equivalent to a $12.00 per hour job? The real shocker is that nine of our states pay welfare that exceeds the average salary of a teacher in the US! The highest welfare-paying state, Hawaii, pays welfare at a rate equivalent to a $17.50 per hour job! Now I am not totally heartless, just mostly heartless. So before my liberal friends and relatives (yup, I am acquainted with a few) get their undies in a bunch, I realize that some people are not capable of supporting themselves. These are the mentally handicapped, emotionally disturbed and physically impaired people. But I do believe when the five-year clock strikes twelve, it’s time for all capable people to get a job. Period! Many of those 83 federal programs are for job training, and job retraining. I believe that welfare should be gauged on academic achievement. Everyone in the US does have the right to twelve years of public education. It is indeed criminal that a college-educated teacher makes less money than a high school drop-out who can live on welfare as a result of producing illegitimate children. A friend of mine suggested that welfare payments should be paid dependent on school completed, ie; if you drop out after completing the 9th grade, which is 75% of your education, you should receive 75% of your welfare benefit. This may be a little harsh, but where is the incentive to leave welfare when the benefits are larger than if the recipient were to get a job? I would surmise that if you were to lose your benefits, you would find a job – just as what happened in 1996 when 60% of the welfare recipients left the welfare rolls. As mentioned, aspects of the welfare system vary from state to state. Michigan requires recipients to spend a month in a job search program before benefits can begin. Saying that it is “unfair for Florida taxpayers to subsidize drug addiction”, Florida Governor Rick Scott signed the Welfare Drug-Screen Measure which requires welfare applicants to undergo drug screening. The law went into effect on July 1, 2011. It was later revoked by a Federal Judge. All of us have been in the checkout lane of a grocery and observed someone using food stamps. This does not bother me for a family in need, but I am infuriated when I see these stamps being used for cigarettes, dog food, or beer. Even though these items may be excluded from the food stamp program; the high school cashier is placed in the position of the governing authority. The abuse is widespread and costly. These welfare abusers are “stealing” from the working taxpayers. If they attempted to take those items without paying, they would be in jail. Abusing the food stamp program makes it legalized stealing. Looking back, the US should not have implemented the “Great Society,” because it was everything but great in the long run. People survived very nicely before the implementation of that program. I was a teenager at the time, and I do not remember seeing any starving or dying people in the street. 26Feb13 Today it was announced that a grocer in the state of Illinois, bilked the food stamp program for $866,000. He did this by paying food stamp recipients 50% of the face value of the food stamps in cash, and then reselling them for 90% face value. The federal government should get out of the welfare business, and push it to the states. You could then be assured that because the states would then be responsible without the big bucks of the federal government to back them, they would become more judicious administrators of the welfare programs in their respective states. A quick way to reduce the federal budget by over $700 billion. This entry was posted in Political Opinion and tagged Economic Opportunity Act, Great Society, Lyndon Johnson, welfare, welfare programs on February 21, 2013 by Grandpa T.
Anyone with two eyes, two ears, and an IQ higher than a turnip knows that our federal government is having budget difficulties. It is because of the Great Recession. It is because of lost revenues due to a high unemployment rate. It is because of rampant spending on the part of our elected officials. You would think that with all the press given to the “fiscal cliff” and to the negative effects of reaching that cliff, our federal representatives would be feverishly working to balance our budget to avoid our great nation from falling off that cliff. So are they? Here is a simplified synopis of how the budget planning process is supposed to work. Since the passage of the Congressional Budget Act of 1974, the Senate and the House are supposed to pass budget resolutions in the spring. These budget resolutions set the framework for taxation, spending and other fiscal considerations for the coming year. They also lay out general plans for the next four years. If the budget resolutions differ, the Chambers are to hammer out a compromise. Budget resolutions are policy plans. They are not appropriations bills, or spending bills, which actually allocate monies for specific purposes. This all brings us back to the question: What are our federal representatives doing about balancing our budget? And when was the last time that a budget was approved?…………tick………………tick…………………tick………… Time is up! April 29, 2009. In 2012, not one single annual appropriations bill has was brought to the Senate floor! The U.S. House passed seven of the 12 annual appropriations bills that year and sent them to the Senate for consideration, according to the status report by Republicans on the Senate Budget Committee. The Senate Appropriations Committee also approved 11 of the 12 spending bills and sent them to the full Senate for consideration. None of the bills approved by the House or the Senate Appropriations Committee were ever brought to the Senate floor for a vote. Senate Majority Leader Harry Reid, D-Nev., who decides which bills will be considered, told reporters on July 10, 2012, that no spending bills were likely to be approved in 2012 due to an ongoing dispute with House Republicans over how much the federal government should spend. No fooling? True to his word, Reid so far has not brought any of the annual spending bills to the floor since that statement in July, necessitating the short-term budget measure to keep the government running for another six months. This also means that there are not any four-year plans provided for future budget planning. 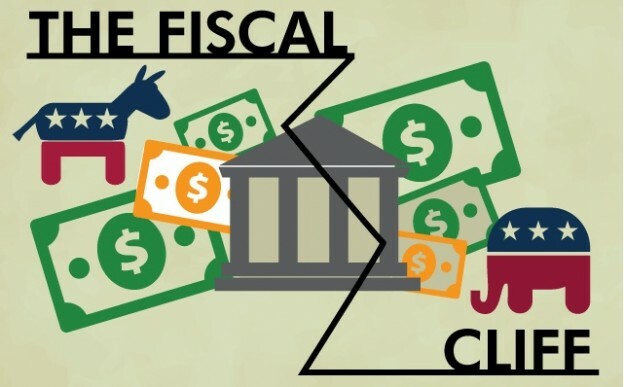 There is no shell of a federal budget, much less a framework for future budgets. Everyone who knew we did not have a budget for almost four years, raise your hands. Yup, that’s what I thought. I had no idea either. I haven’t heard much about this in the media. I know I have higher aspirations for the people who are elected to oversee the welfare of our country. And what do they do? They are playing patty-cake politics at our country’s expense. It would be fair to assume that this group, regardless of political party, are flying by the seats of their pants (or skirts) and that they really do not have an original thought or plan to get our country out of this financial mess. One person, a man from Nevada who won his last election by 40,000 votes, has decided that because those mean, vicious Republicans want to cut spending, he will circumvent the debate and compromise process by not introducing budget bills on the Senate floor. Why, exactly, are these people in Washington? Don’t get me wrong. This is not just a Democratic party issue. There have been other times in our nation’s history when the Republicans did not pass a budget when they were in the majority. But I must admit, the Democrats have been overachievers in not getting a budget approved since 2009. We have had three years without a budget, and we have an excellent chance of extending the record. The irony of all of this, is that our country is still on the brink of the financial cliff. The fiscal cliff was going to hit on January 1 of this year. As I mentioned in an earlier post, I expected the gutless wonders we have elected to Congress to postpone making any decisions. They did just that, and now the new cliff date is March 27, 2013. I suspect that when that date approaches, they will again delay by passing temporary appropriations bills to keep the country running. All of this without any permanent solutions for what are becoming huge permanent problems. Social security, Medicaid, Medicare, defense, unemployment; all of these issues need to be addressed, as this country cannot afford to continue on its present path. Let me be perfectly clear. We need to reduce spending! Suffice it to say that if the US military operated as inefficiently, ineptly and with as little direction as our present Congress, we would still be fighting the Civil War. So what has been accomplished thus far in facing the realities of the pending fiscal cliff? For one thing, the POTUS (President of the United States) asked for and received higher income taxes on higher income wage earners. You certainly heard his continuous promotion of class envy by using the word “rich” like it was a dirty four letter word during the presidential debates. Congress approved this increase at the end of last year, mostly hitting families with a combined household income of over $450K per year. In their infinite, but vanishing, wisdom, Congress also complicated the IRS tax codes by making federal income tax a four-tier process, with a number of caveats at each level. So much for trying to simplify the tax codes. The Republicans relented and approved these increased tax measures on the assumption that the other end of the shovel would be spending cuts. But now, after getting the increases, the POTUS and the Democrats are balking at any spending cuts. And of the cuts that they may actually approve, 50% come from the Defense Budget, which is about 22% of our federal budget. At the same time, the Democrats are trying to preserve all the social welfare programs, which consume well over half of our federal budget. Stay tuned as to how this will all flesh out. Last night, Grandma and I attended an investment seminar with a guest speaker from Washington, D.C. He offered his insight into our inability to compromise and to do what is best for the country. His theory? He says that the United States political picture is currently divided into thirds: 1/3 Republicans, 1/3 Democrats, and 1/3 Independents. The Independents are in the middle, expecting compromise. The other two parties have gone respectively to the extreme left and extreme right to hold onto the political base that got them elected. The result of all of this is that the two extremes are our federal representatives. Gridlock ensues as both sides are too far apart to consider compromise. Like Nero, they are fiddling in Washington, while the country burns. I blame both sides. 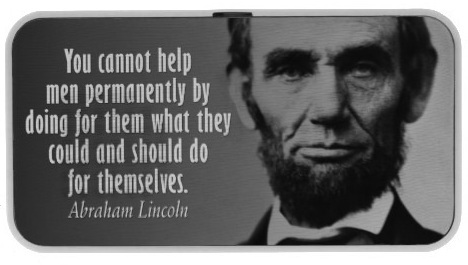 We need leadership more than ever from people who are incapable or unwilling to lead. Most people do not want to face the reality that we may all have to sacrifice some, to protect the whole. In this case, the “whole” is the United States of America. Originally, I was going to do a post on welfare. During my research on the welfare programs in the US, I ran across this information as to how our government if functioning in Washington. The verdict? It is not functioning for the benefit of the country! It is working overtime to gain reelection. I am both appalled and irritated by how our country is being managed. I must be naive, because I expect more from supposedly smart leaders. Much of these problems would not exist if we had term limits. It is obvious that too many selfish, egotistical people feel comfortable “nesting” in Washington. The next post will be on welfare programs in the US. These programs are at the heart of possible budget cuts. Have you talked or written to your Congressman lately? If the silent majority (the common sense people) do not make themselves known, we become abetters by allowing our government to continue on its present course. PS: On Saturday, March 23, the Senate passed a budget for the first time in about four years with a vote of 50-49. This budget will not be implimented, as it is to diverse from the budget passed by the House. Stay tuned for more gridlock and ineptness. This entry was posted in Political Opinion, Politics and tagged approrpriations bills, budget resolution, congressional act of 1974, fiscal cliff, Great Recession, medicaid, medicare, social security on February 8, 2013 by Grandpa T.